The City of Rockville is located about 25 miles north of Washington, D.C. It’s the seat of Montgomery County government. Rockville is the largest incorporated city in Montgomery County, and the third largest in state. Rockville homes range from historic Victorians, to colonials and split-levels in well-established neighborhoods, to newer communities boasting a mix of housing options. Throughout Rockville residents can access to Metrobus and Ride On bus; Metrorail Red Line stops are located at Rockville and Twinbrook. MARC and Amtrak train service is available at Rockville Station. Capital Bikeshare stands are also available locally. Rockville offers quick and easy access to I-270, the Beltway, and Rockville Pike. The Intercounty Connector (ICC) makes the trip to downtown Baltimore less than an hour. All three area airports, BWI, Regan National, and Dulles, are within reach. 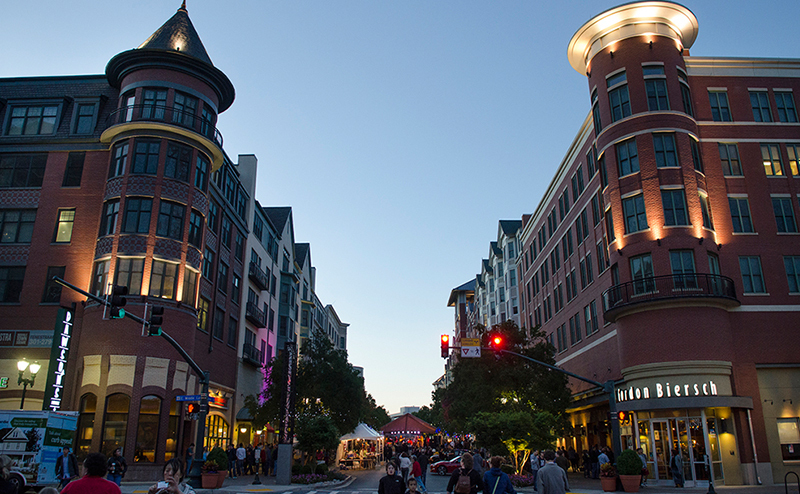 Rockville Town Square boasts numerous restaurants, shops, and entertainment options. Much of Rockville’s shopping is located along Rockville Pike. There are hundreds of family-owned restaurants, national and local chains, and smaller cafes throughout Rockville; some popular dining spots include Matchbox, Addie’s, Cava Mezze, and Clyde’s Tower Oaks Lodge. Rockville offers outdoor green space in the form of hiking/biking trails, ball fields, courts, picnic areas and playgrounds. Cabin John Regional Park, Rock Creek Regional Park, Croydon Creek Nature Center, and Lake Needwood, along with numerous local neighborhood and urban parks, provide residents with many choices. Rockville sits at the center of the I270 Technology Corridor and has attracted many biotech companies; Rockville is also home to several large employers including the U.S. Nuclear Regulatory Commission, Adventist Healthcare, FINRA, and Westat. Montgomery College, the Universities at Shady Grove and Johns Hopkins all have Rockville campuses. There are three local library branches, Rockville Memorial, Twinbrook and Aspen Hill. Rockville is served by the Montgomery County Public Schools.